We have had One of our best sellers, the Continental Steel roller shutter doors tested by the LPCB to LPS1175 Security Level 1. 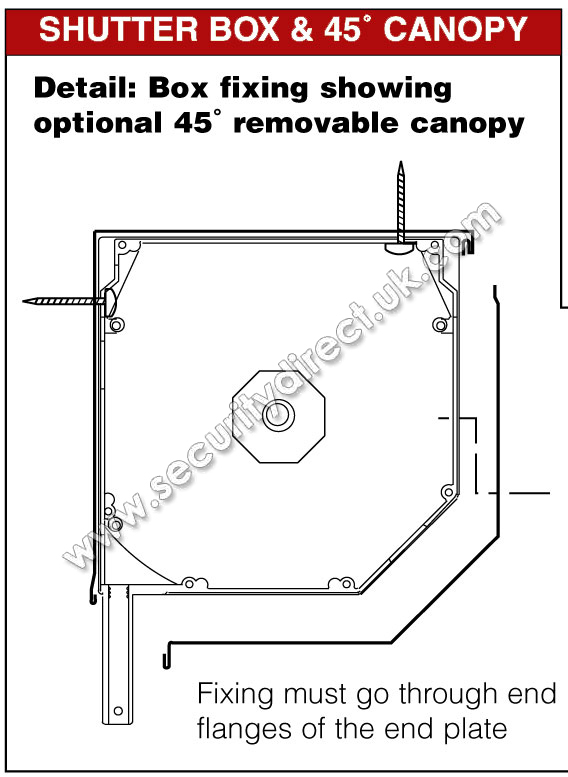 The benefits of the RSA7501 is that is uses the Steel Curtain but uses compact Aluminium Box and Guides, which are a neater option to traditional steel guides. 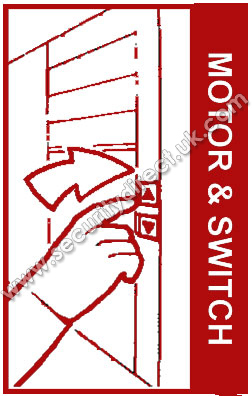 The RSA7501 is designed for internal use only, on retail and commercial premises and can be supplied for manual or electric operation. The RSA7501 is also certified in with a Perforated curtain which provides 18% vision. We can also supply these shutters with a range of controls and colours. If you have any questions, don’t hesitate to get in touch. A popular choice for Higher Security Office, Commercial and Industrial applications. Curtain - Galvanised, White, Cream, Brown or Black. Powder Coating a BS or Ral Colours is available at an extra cost. Box and Guides - White, Cream, Brown or Black. Powder Coating a BS or Ral Colours is available at an extra cost. 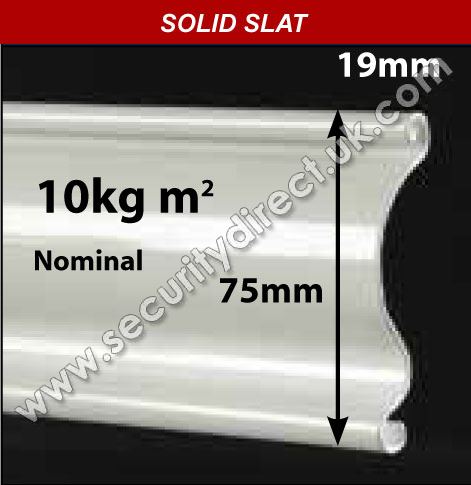 The standard 22G Galvanised Steel Laths are Single skin with anti vandal wind locks. 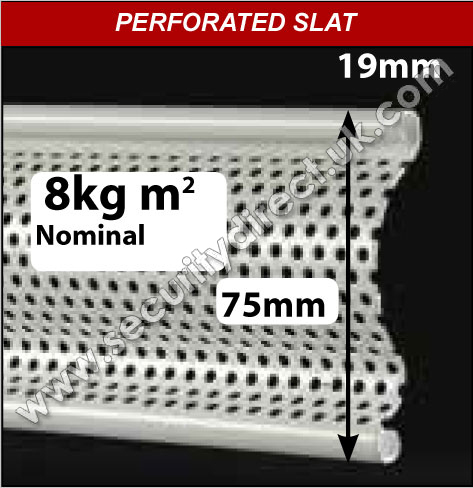 Perforated Laths are available at an additional cost. 3 mm Galvanised Steel end plate with galvanised Steel 3 side hood as standard. Hoods will be supplied in sleeved sections which will need to be joined on site during the installation. Alternatively hoods can be supplied in one section up to 6 metres long but this will extend production time and delivery costs. Fascias and 2 sided hoods are available at no extra charge. Clear opening height (to underside of box). As this varies depending on the width, please contact us for the exact clear opening height for the particular width of shutter you require. 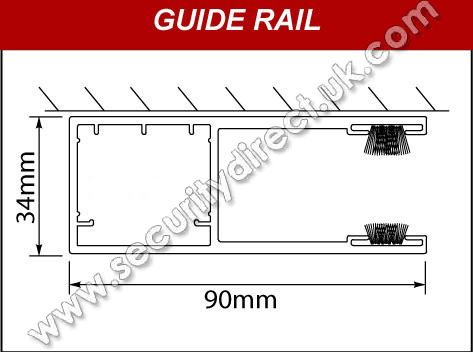 The RSA7501 uses the compact aluminium guides, with brush seals. The RS7501 is available both manually and electrically operated using a tubular motor inside the barrel. The options priced are shown on your quotation which also shows the method of operation we have included. This list shows possible options which would incur different costs. that go through the guide rails each side. 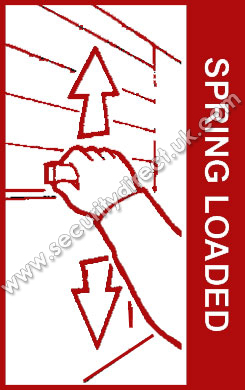 Roller Shutters which allow the shutter to be operated when the power to the shutter has failed. 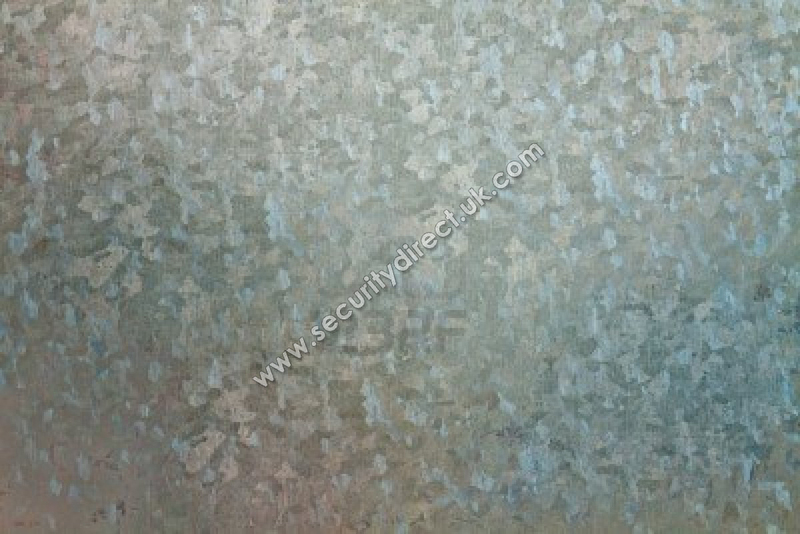 Our Standard finish is Galvanised. We can powder coat the Curtain, Box and Guides any of the colours below at an extra cost. PRODUCT OVERVIEW Description The RSA75 is a 75 mm..